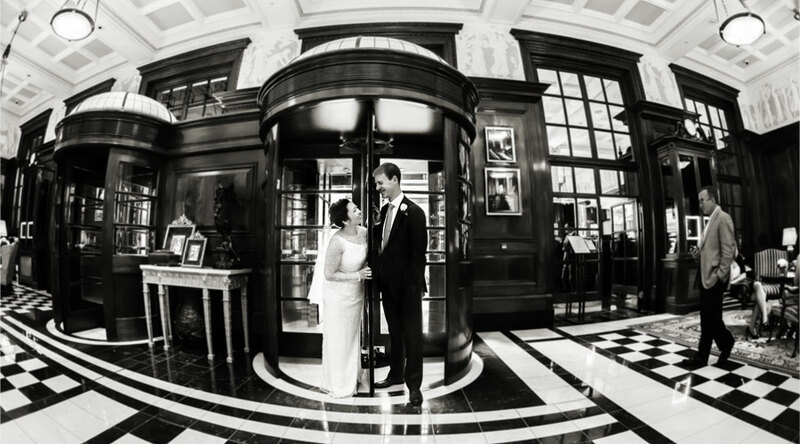 Here is another iconic London landmark that we feel priviliged to work in as Savoy Hotel Wedding Photographers. The hotel has always looked the part throughout it’s illustrious history, but with its recent full refurbishment it now positively sparkles. 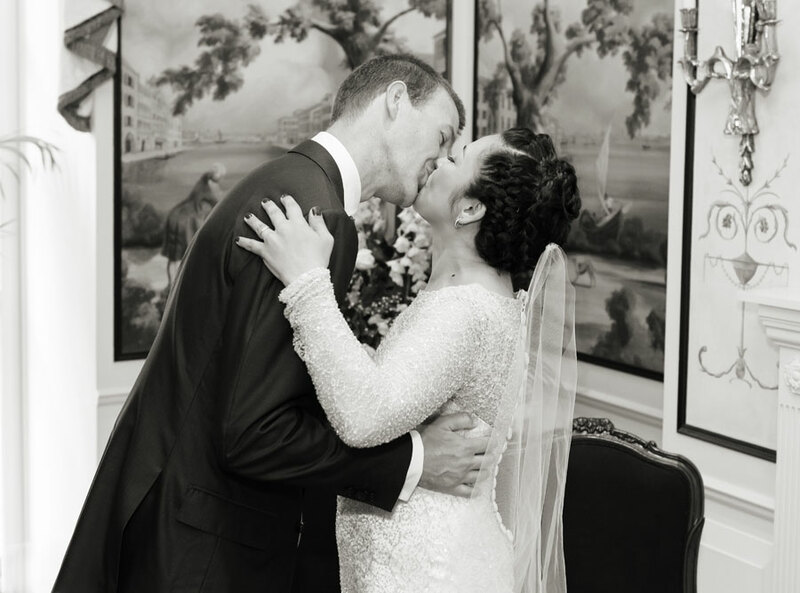 For couples planning a wedding there we can say first hand that you will be treated with the best of attitudes the hospitality trade has to offer. 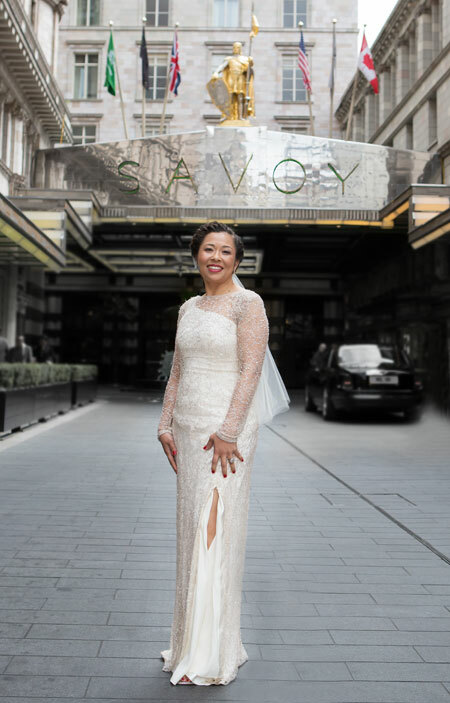 You are always of course the stars of your wedding day, but with a Savoy Hotel wedding you will quite literally be Hollywood stars! 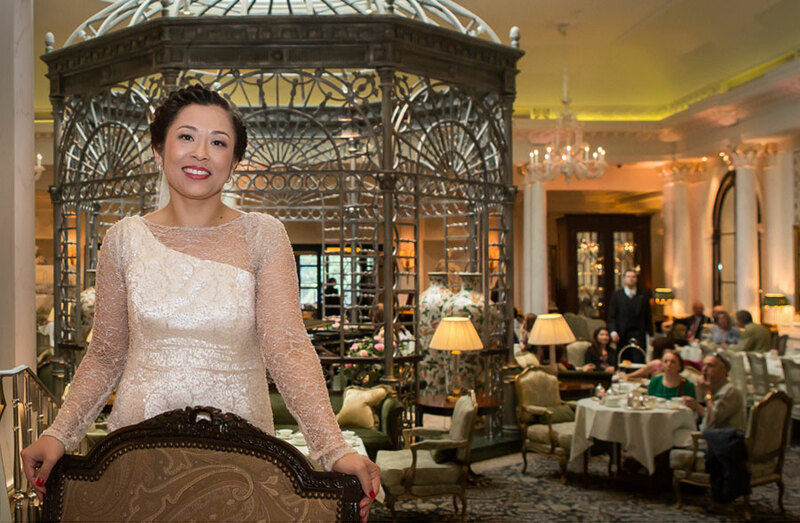 Built over 120 years ago The Savoy has been a home from home for the famous and discerning from day one. Claude Monet had a suite there and painted some of his works looking out of the windows across the Thames. The same suite became home to Charles Chaplin and US President Harry Truman. Not at the same time though! Frank Sinatra played piano for guests in the restauarant, and Marilyn Monroe and Queen Elizabeth have danced in the beautiful ballroom. Winston Churchill hosted war cabinets meeting here, and his favourite eatery The Savoy Grill is still serving and of course is just as well respected. At present its managed by Gordon Ramsay. 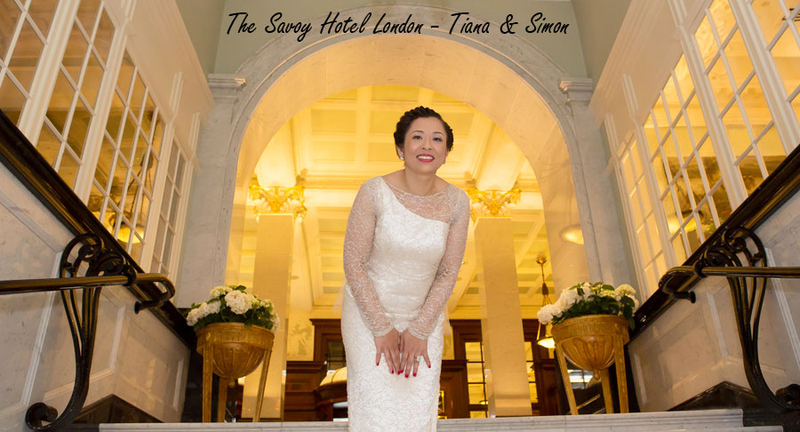 Our most recent Savoy wedding couple Tiana and Simon can be seen further down the page studying its mouth watering menu. 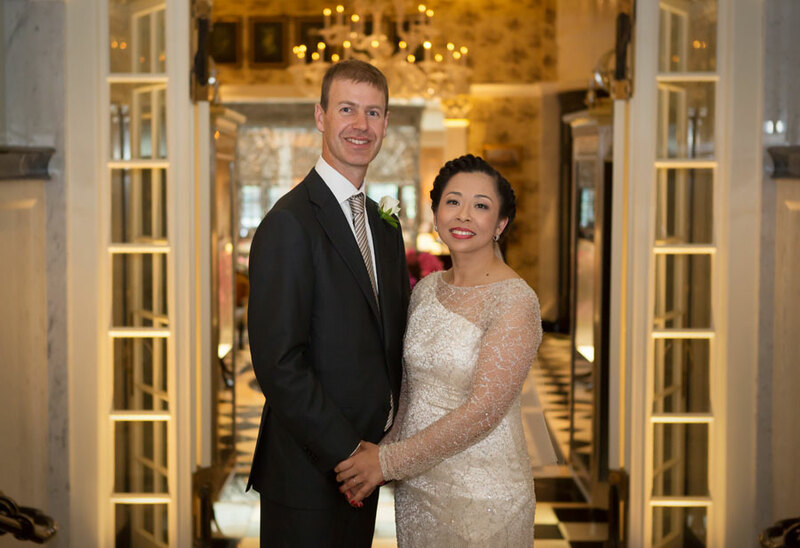 We are not just Savoy Hotel wedding photographers, we are also Dorchester Hotel wedding photographers and of course do Ritz Hotel photography. Do we have a favourite from this iconic trio? No, they are all great London wedding venues, each with a distinctly different flavour. One thing is for sure we love what we do, and we love these venues, and the history of them is facinating. 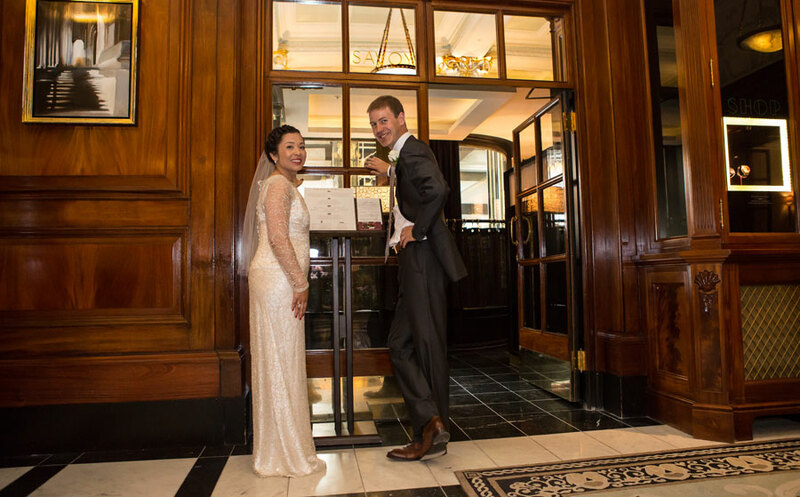 Tiana and Simon study the menu at Gordon Ramsay managed Savoy Grill, easily accesible from the hotel lobby. Below playing around in the hotels revolving doors.